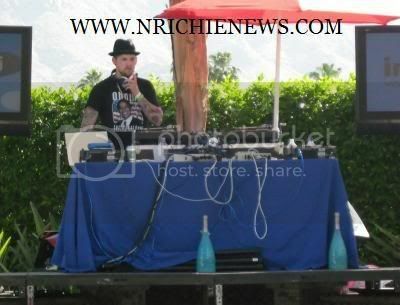 NICOLE RICHIE NEWS: Nicole Richie, Joel Madden & Friends party in Palm Desert, California. Nicole Richie, Joel Madden & Friends party in Palm Desert, California. 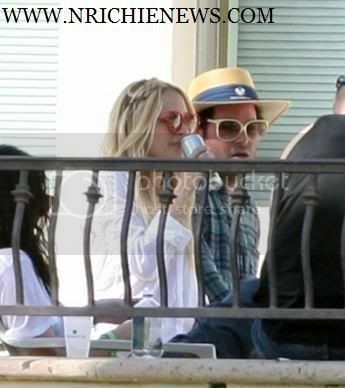 Joel Madden suprised Nicole Richie with a get a way to Palm Desert in California. “[Nicole] hasn’t been able to do a whole lot over the year, so we’re having a little family trip,” Joal told people magazine last night at the BPM Hpnotiq Smurf House, where he was DJing. Alot of their friends attended their party. Guests included Masha Gordon, Carlos Lopez and some of the DCMA crew. If you are interest in the way Nicole braids her hair like in the pics above this video (link below) is a really great tutorial. It shows you how to do two different styles and the second style is just like Nicole Richie's hair.